Numerous press reports say Swiss Railways, or Schweizerische Bundesbahnen (SBB) is in talks with electric air taxi manufacturer Lilium GmbH to develop air taxis to transport customers from rail stations to their destinations, Swiss newspaper SonntagsZeitung reported Sunday. “The SBB and the airline taxi company Lilium are currently engaged in talks on cooperation,” SBB spokesman Raffael Hirt told SonntagsZeitung. 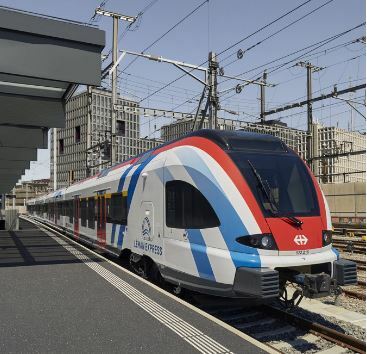 The SBB has reportedly signed a memorandum of understanding with Germany’s Lilium which would see the two companies working together to introduce the service in Switzerland. The flying taxis could provide fast links between major train stations and destinations such as airports, congress venues or outlying city suburbs, according to Swiss weekly SonntagsZeitung.